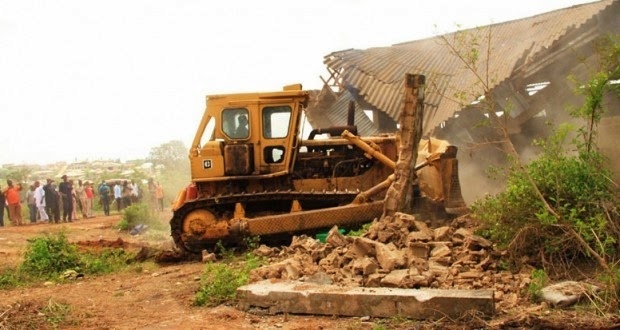 Oyo State Government asks residents and land owners in the Soka neighbourhood of Ibadan to remain calm, pending its intervention in the land dispute. The name Soka reminds us of one thing, kidnapping and ritual killing, thanks to that breakthrough by the police some years ago. Since then, the area which used to be a den of killers, has been cleaned up from the jungle it used to be and has become a peaceful residential area. But in recent weeks, residents of the Soka area have been living in palpable fear over the land dispute between some landowners. Residents of the community besieged the Oyo state secretariat with placards bearing various inscriptions on Monday. He said that residents were ready to agree with whoever was the authentic owner of the land, and appealed to the government to intervene and resolve the matter once and for all. Mr Isaac Omodewu, the Commissioner for Lands, Housing and Survey, was on hand to listen to their cry. He asked them to remain calm, pending the Oyo state government’s intervention in the land dispute. He also urged them to avoid confrontation and remain law-abiding citizens, pledging that the government would soon deal with the matter.